100 mg amineptine (Survector) and 2 x 5 mg selegiline (l-deprenyl, Eldepryl) daily. I also take omega3-rich flaxseed [linseed] oil supplements; LEF's "Life Extension" mix; and resveratrol with quercetin. And that's it - for now, at least. Amineptine increases exploratory behaviour in rats. Since taking it, I have been seized by a desire to travel the world. Climbing volcanoes in Indonesia, exploring Machu Picchu, and communing with giant tortoises in the Galapagos Islands are adverse side-effects not reported on the product label. When at home in England, I spend my days webmastering for the abolitionist project [my raison d'etre]; rocking autistically to pop music on my iPod; or pushing back the frontiers of knowledge in Borders' bookstore Starbucks café - the haunt of Brighton's movers-and-shakers, its resident conspiracy theorists, and anyone who needs a library that serves industrial-strength black coffee. In spite of its dopaminergic action, I almost never bothered to try amineptine in the first place. Not being a chemist, I assumed it would have dumb-drug antimuscarinic effects in virtue of its being a tricyclic. Amineptine is also devilishly difficult to obtain. Colourful tales of King Rat, double-dealing Brazilian lawyers, and a cast of characters plucked from a Tarantino movie are probably best omitted here. However, I seem to have emerged unscathed. In Rio, someone stole my vegetarian shoes while I was playing football on the beach; but anyone who needs to nick my shoes probably deserves them more than I do. Missing footwear aside, I've now prudently stockpiled plenty of amineptine for a rainy day. Frustratingly, Servier halted production in Brazil in early 2005. So the global amineptine famine is now worse than ever. Amineptine's ill-named abuse-potential i.e. the extremely mild euphoria that follows for an hour or so after ingestion, is weak and independent of its more subtle but sustained elevation of mood and motivation. As with nicotine or caffeine, amineptine users typically learn to self-titrate their intake for optimal effect: uncontrolled dose-escalation is rare and self-defeating. I guess that amineptine's acute action might be mildly tempting to teenagers scouring the family home in vain for household products to swallow or sniff; but this was a childhood rite of passage I somehow managed to skip. 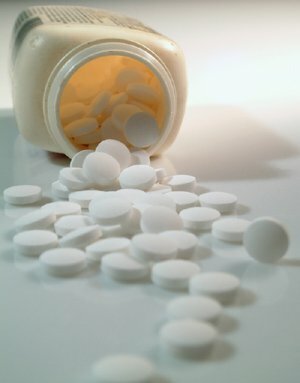 After Servier withdrew Survector in mainland Europe some years ago, amineptine.com received a stream of sometimes heart-rending emails from consumers, doctors and even pharmacists who told us it is was the only medication that worked: was there any way to obtain an alternative supply? [Occasionally, we still get similar plaintive emails from people who say the same about the long-vanished noradrenaline and dopamine reuptake inhibitor nomifensine (Merital).] Short of ordering amineptine as a "research chemical" via a chemical supply house, or synthesizing it via grandma's bathtub chemistry kit, the answer was no. Even the usual grey-market pharmacy sources on-line dried up. This particular drug deficit was doubly frustrating here at BLTC HQ: Brighton is chemical capital of the UK, and if one wanted to score truckloads of class-A euphoriants or psychedelic exotica, then one could do so (I am told) within an hour. But sustainable mood-brighteners are thin on the ground. Until tomorrow's designer genomes deliver invincible mental health for all, there is a pressing need for rationally designed psychotropics that are cheap, harmless and habit-forming. Admittedly, a marketing slogan on the lines of "Addictive By Design" isn't the ideal rallying-cry for a novel life-enriching pharmaceutical in today's prohibitionist climate. If I had a teenage daughter, I'd probably find myself chanting "Just Say No" too. But if a drug doesn't make you want to take it again, then it probably isn’t any good - life-changing psychedelic epiphanies aside, and they might get disruptive every day of the week. Alas amineptine itself is no panacea. On the contrary, it's a dirty third-rate stopgap, yielding a rather one-dimensional kind of well-being suitable for a Darwinian world. A noradrenergic/dopaminergic drug regimen can lend a certain inner tension to the psyche; it also makes one less introspective and more outward-directed - something of a misnomer if one is only an inferential realist who believes that the so-called perceptual world is just a toy simulation each mind-brain runs. At any rate, amineptine is a useful agent only because current alternatives are so poor. One day, I hope to find something better. Most studies of mood-brighteners confound the response of anxious and/or agitated depressives with those who may be known, somewhat unflatteringly, as retarded melancholics. On this basis, amineptine isn't statistically superior to other contemporary meds. For all the heady talk of pharmacogenetics and a new era of "personalised medicine", drug companies are loathe to encourage "market segmentation" for fear of reduced profits. This reluctance is misplaced: melancholics in particular don't do at all well on current drug therapies. Indeed prescription psychotropics are mostly so dire that anyone with a melancholic streak might be better served by a blend of old-fashioned Papaver Somniferum and coca leaves, despite their well-advertised pitfalls. Doctors bemoan the reluctance or inability of their patients to take their prescription meds as instructed; but this comes perilously close to blaming the victim. "Patient compliance" is so erratic because licensed "antidepressants" are often ineffective, side-effect-ridden or even actively depressogenic. Perhaps this dismal track-record isn't surprising. Investigational drugs are tested to see if non-human animals will self-administer them and discarded if they do - arguably not the smartest heuristic for life-enhancement either for humans or our horribly abused cousins. Thus the so-called antipsychotics, for instance, frequently induce apathy, dysphoria and generally mess people's heads up, albeit in ways that ensure their victims intrude less on the lives of others. As it happens, a neuroleptic/antipsychotic is one of the categories of drug I have never felt brave enough to investigate. Somehow I doubt if there will ever be a PiHKAL for antipsychotics: devotion to the experimental method has its limits. Once my capacity to do useful webmastering for the abolitionist project is spent, however, I dream idly about entering the Guinness Book of Records under the category of world's greatest sustained euphoria - a form of record-breaking unaccountably missing from today's roster of human achievement. Goodbye depressive realism; hello hedonistic bliss. Of course, it's not going to happen; but I have fantasies of implanting stem cells and nerve growth factors into my stunted reward centres and expiring in my dotage from an uncontrolled proliferation of pleasure cells. Does this bespeak a lack of moral seriousness? Well, perhaps. On a more sober note, I take selegiline at a higher dosage (2 x 5 mg daily) than is (probably) optimal for life-extension purposes. The aim here is maximal selective inhibition of MAO-B for improved mood and motivation; but it's not MAO inhibition per se that accounts for selegiline's neuroprotective role, but its propargylamine moiety. This is borne out by the neuroprotective action of the S isomer of rasagiline, even though it's over 1000 times less potent as an MAO inhibitor. Selegiline, the older drug I've taken for most of the past decade, will soon be available at substantially higher and MAO-unselective dosages in the form of controlled-release EMSAM patch. Bypassing the gastrointestinal tract avoids the need for dietary restrictions. I will probably try EMSAM if my rasagiline experiment doesn't work out, though only at a lower, relatively MAO-B selective dosage: agents with any kind of serotonergic action [unlike MAO-B, MAO-A also breaks down serotonin and noradrenaline] eventually make me listless. Instead, I need drive, exuberance, "life force". Anything worthwhile in this world - and most of its horrors - has been achieved by larger-than-life characters, defying adversity to triumph over impossible odds. Unfortunately, I still undergo a catastrophe-reaction if one of my cacti dies or a friend wrinkles her nose in disapproval - not a good index of psychological robustness if one wants to save the world. Fortunately for victims of the syndrome in question, the Net offers hope to hormonally challenged, smaller-than-life characters, in theory at least. As an experiment, I intend shortly to substitute the novel "second generation" MAO-B inhibitor rasagiline (Agilect, Azilect) for selegiline. There is negligible evidence that selegiline's trace amphetamine metabolic by-products occur in sufficient quantities to exert any long-term adverse effects; but I would like to explore MAO-B inhibited life without them. Hence the attraction of Professor Youdim's discovery. One reason for rasagiline's lack of abuse potential/acute enjoyability may be the equivocal role of phenylethylamine (PEA). Several studies confirm PEA may have an antidepressant effect. It may serve as a [catecholamine] "enhancer". Yet PEA can also act acutely as an endogenous anxiogen. This tallies with my own experience: a mild anxiety or inner tension - occasionally amounting to OCD-like symptoms - ensues very shortly after taking selegiline. Some subjects say they notice no subjective acute or chronic effects while on it. Others report a slight elevation of mood and alertness from the trace amphetamine metabolites some three hours or so after taking a tab. I most definitely fall into the latter category too; and I can't believe it does me any long-term good. My opinion of rasagiline may be coloured by factors unrelated to its pharmacology. I was not wildly amused late last year to be contacted by Israeli drug giant Teva's lawyers threatening the usual fire-and-brimstone over rasagiline.com if the domain isn't surrendered to their client for a token sum. Virtual estate stirs primitive territorial instincts, empire-building and the baser human passions no less than its old-world physical counterparts. Thus in tones more suitable for an unindicted war-criminal, it is alleged that the international non-proprietary name (INN) in question should rightly be regarded as an unregistered trademark of Teva. [If pharmaceutical companies were as inventive in designing new drugs as they were in litigation then we'd already all be in chemical nirvana] It is hinted darkly that one might be a domain name speculator rather than a corporate branding strategist. Heaven forbid. On re-reading, my slightly frosty reply might be misinterpreted to imply that accepting sizeable amounts of cash from a drug company is a notion I find almost physically too painful to contemplate. This is not in fact wholly the case. Indeed on more than one occasion I have been struck by the thought that drug companies have too much money and we have too little. It would be nice to have our own private research lab, for a start. But the way the industry aspires to monopolise the pharmaceutical namespace to control information is bad news for consumers ["patients"]. Big Pharma will probably succeed in capturing the namespace in the long run, whether by fair means or foul. Certainly dot.com snobbery is a vice best suited to those with deep pockets. Gaboxadol, for instance, a non-benzodiazepine GABA(a) agonist now in phase III clinical trials, was once a part of the BLTC portfolio. Gaboxadol is being developed (with Merck) by Teva's marketing partner, the Danish-based Lundbeck. So when a fellow rings up from Turkey wanting gaboxadol.com "for my father's clothing business", I am intrigued. His tale of his sick mother touches my heart. Two phone calls later, however, he reappears in Denmark with the same ISP and Speednames registration-agent as Lundbeck - who will also, as it happens, co-promote rasagiline with Teva. The plot thickens. If drug companies will resort to such subterfuge to acquire a domain name, then who knows what they might do with, say, hundreds of millions of dollars at stake in a late-stage clinical trial. Later this year, I may explore agomelatine (Valdoxan). I'm uncertain about the likely effect of its action as a melatonin receptor agonist. Will it just make me hypersomnolent during the day? Nor do I really understand the implications of its action at the 5-HT2b receptor. But agomelatine's role as an antagonist at the serotonin 5-HT(2c) receptors is a bit more exciting. Blockade of the 5-HT(2c) receptors enhances frontocortical dopaminergic and adrenergic activity - which is nice. Conversely, serotonin 5-HT(2c) receptor activation can be profoundly unpleasant. Surprisingly perhaps, a drug combination of BZP and the 5-HT(2c) agonist TFMPP really is agreeably E-like, taken acutely at any rate; but the effect of TFMPP on its own can be dysphoria, depersonalisation and derealisation. [A friend-of-a-friend tried TFMPP once and just curled up in a foetal ball: not the ideal serenic. I wonder, idly, how agomelatine combines with BZP.] Despite my slight shift in neurobabble over time, I still think in the language of receptor subtypes rather than gene expression profiles. In a decade or two, this conceptual scheme may seem almost as quaint as the idiom of humoral psychology, and laughably simple-minded; but we are creatures of our time. In the more distant future, I suspect the ontology of the materialist paradigm will be overthrown, leaving only its formal shell; and the world of pure consciousness will be mathematically described by the harmonics of superstrings or their braneworld cousins. But I guess this is the kind of speculation best confined to one's diary. Nothing in my drug regime acts significantly to increase hedonic capacity as distinct from motivation. The mu-opioid receptor is still taboo. However, at some stage I do at least want to add a selective kappa opioid receptor antagonist to my dopaminergic regimen [kappa is the "nasty" opioid receptor; mu is rewarding]. Unfortunately, nor-binaltorphimine, the prototype selective kappa antagonist, is only weakly centrally active. In any case, it's hard to find. In the meantime, my native cravings for opioids must be satisfied by Darwinian social interactions. Cynics might claim this source is unreliable, adulterated, expensive and of uneven quality; and true enough, I can barely offer anyone a codeine tab's equivalent of reward myself. But one way or another, we are all addicted. If I learned tomorrow that I had only a few months to live, then I'd probably exit the world with selective mu agonists to complement my regimen of dopaminergics. [Shades of speedballing or the Brompton cocktail]. With any luck, this kind of crude but enjoyable mix won't be necessary. In a couple of decades or so, the first true psychotropic wonderdrugs and somatic gene therapies should be available. Rational design will replace serendipity. I hope so. If one has tasted, say, the emotional release, self-insight and empathetic bliss of pharmaceutically pure MDMA, then it's hard to accept the third-rate imitation of mental health bequeathed by natural selection. However, the immediate product pipeline is thin. Substance P (NK1 receptor) antagonists aren't panning out as hoped. CRF(1) receptor antagonists are interesting, but they adversely affect intellectual performance. Broad-spectrum "triple" reuptake inhibitors like DOV 216,303 are promising because they inhibit the reuptake of dopamine as well as noradrenaline and serotonin; but heaven knows if and when they'll get a product license. No one seems to be working on sustainable empathogen-entactogens - not even in the scientific counter-culture, let alone mainstream medical science. And today's opioids are all flawed. Yet in future, when opioid tolerance is eliminable, sub-type selectivity improved and side-effects minimised, it's conceivable that this demonised class will make a comeback both as tools for life-enrichment and in psychiatric medicine - especially if the rhetoric of the War On Drugs subsides. [At present, of course, opioids are hard enough to access lawfully even for serious pain-relief.] In particular, neuroactive opioids targeted on sub-types of the mu receptor could form the basis of some spectacularly life-enhancing cocktails. Some day, I hope personally to try a combination of a mu agonist and centrally active selective kappa antagonist, together with a peripheral antagonist to minimise unwanted bodily side-effects. One of the greatest discoveries this century, I think, will be identification the final common pathway (FCP) of pleasure, possibly downstream of a subtype of the mu opioid receptor. In the late 20th century, researchers had hoped they were homing in on the FCP in the mesolimbic dopamine system. This optimism proved premature. Incentive-motivation ["wanting"] is dissociable from liking. But the molecular signature of pure pleasure holds the key to the universe, unlocking the power to manufacture limitless value, meaning and significance - magic to infuse the cosmos and all sentient life. Without the pleasure-pain axis, nothing matters. It permeates and underlies our entire conceptual scheme. Utilitarians believe we just need to delete the axis at one end and vastly extend it at the other. Will our descendants be hypersentient as well as superintelligent? I think so. For sure, the search for long-lasting experience-intensifiers can scarcely rank as morally urgent given our malaise-ridden existence today. Understandably, millions self-medicate with alcohol to dull their awareness. Yet just occasionally, I muse on the molecular machinery needed to churn out hypervaluable experiences in ineffably delightful virtual worlds - a prospect that isn't immediately obvious when wading through literature about medium spiny neurons in the rostromedial shell of the nucleus accumbens. I would also like to find better ways of coping with stress. Although my consciousness has a harder-edged quality than that of early drug-naïve DPs, I lack the strong-mindedness and resilience that might be conferred by taking an anabolic steroid. [DHEA is the nearest I've got to trying one of those. It had the unwanted effect of increased libido, so I stopped.] Omega-3 essential fatty acid supplementation makes one feel calmer; but it would be nice to feel serene. I hope at some stage to try neuroprotective tianeptine (Stablon). Whatever the cause, intolerance of stress is not the ideal qualification for running a web hosting service. This holds true even if in practice one is just the dead wood: it's the sysadmin who keeps everything humming. In truth, the historical origins of Knightsbridge Online are less venerable than its imposing web shop-front might suggest. Back when the web was young, I'd simply conjured up the most snobbish-sounding name I could think of from the virgin UK namespace. Our chosen title was a bid to reassure KO's (few) corporate clients, some of whom might be unsettled by the wilder reaches of the BLTC websites, not to speak of the miscellaneous anarchists, Buddhists, transhumanists and other exotic life-forms populating the server. In reality, our London presence is exhausted by the server at Telehouse; and the picture of a corporate head office on the KO's website bears a remarkable resemblance to the Enron HQ. Oddly enough, the Knightsbridge brand sometimes leads to confusion with our famous local corner-store. Every December, for instance, we get contacted by miscellaneous high-net-worth individuals wondering what has happened to their Christmas hampers etc. Direct contact with Harrods itself has been more limited. Several years ago, its Managing Director emailed asking if we could change our hotlink [on knightsbridge.co.uk] from Mr Mohamed Al Fayed's personal website to the store site - an act that must surely require a certain courage. Presented with such an opportunity, any entrepreneur worth his salt would then have leapt at the chance to discuss joint ventures, strategic partnerships, etc. I just said yes, of course, and meekly complied. We remain minnows in the corporate shark-pool. For now, at least, everything seems [more-or-less] under control. Yet running a server entails perpetual worrying about disaster scenarios. Thus we rent a box in Texas that is used mainly for daily incremental off-site back-up. So if a dirty bomb takes out Telehouse, our clients [and hedweb!] can rest assured that their sites will still be safe. However, the reason we set it up originally was more mundane. The controversial multi-level marketing firm Herbalife objected to a website by a client on the server; and they went as far as threatening our connectivity suppliers if we didn't remove the skit in question. Quite what else might ever need to be exiled is unclear. Perhaps president-bush.com, currently registered to a Mr Osama bin Laden [not sure about his politics; but he pays his bills], or the lively anarchist rag Schnews. Who knows. How else would I like to change my ordinary Darwinian state of consciousness? This is slightly more feasible than trying to change the world. Earlier in my life, I experienced chronic angst tinged with melancholia. Thankfully these have been chemically banished, albeit not in favour of an irrepressible joie to vivre. I would still like to eliminate various residual atypical depressive signs, notably rejection-sensitivity. But I'm not yet clear how; I'm not going to take an SSRI, and 5-HTP just makes me lethargic. Rejection-sensitivity is especially irrational given my Matrix-style epistemology. The fate of my zombie avatars in other people's virtual worlds really shouldn't matter per se any more than the fate of the zombies I zap in Far Cry. Yet the phantoms in my own little egocentric world can be scarily realistic - though I doubt if they can compete with the supernormal stimuli in synthetic VR games to come. This lazy biotechnological determinism chimes in all too well with my passive temperament. Until the relevant technology matures, all the high-falutin talk about transcending our biological heritage etc., sounds mere science fiction - like pain-free surgery before anaesthesia. Of course, history is littered with the bones of people who thought their pet nostrums were inevitable. Could one's own life be no less absurd? Yes, quite possibly. But might it be absurd in the sense that its Bentham-plus-biotech premise is too obvious to be worth re-stating - like a fellow who walks around with a sandwich-board all day proclaiming the world is round rather than flat? Perhaps; but this is the kind of absurdity I could live with.